Happy New Years, Tempest followers! I hope 2015 brought you all much joy and very few struggles. One year ago, I started development on Tempest: Shards of the Gods (though it was not named so at the time). In its first year of life, the game grew, changed and adapted more than I ever thought possible. It grew from 2 factions to 5, then settled eventually on 4. Cards multiplied, mechanics altered and the game took shape. 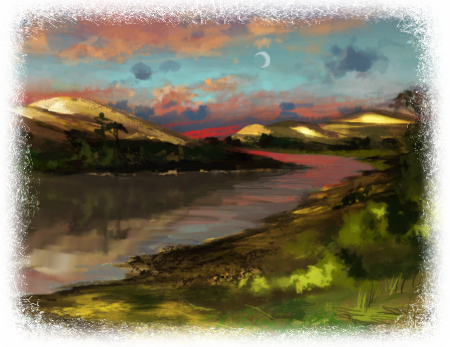 In July, we hit our first major milestone with the founding of Fox Tale Games. Shortly after, Tempest was given its name (previously it was “Ancient Deckbuilding Game 1”) and the first pieces of art were commissioned after meeting some wonderful artists at Supanova Sydney 2015. 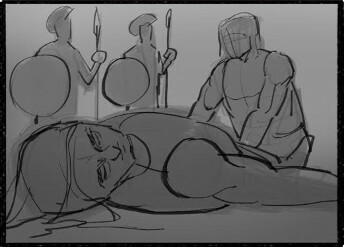 The first concept sketch received: “Wrath of Achilles”. We now have 40 of our 111 cards either completely illustrated or well on their way to being completed. We demoed our game at PAX Aus 2015, as well as numerous events around Sydney, Australia. We developed, designed and printed our four factions’ cards in all card types. We got 87 Facebook, 84 Twitter and 34 Instagram Followers. We got our first international playtesting group (from the Solomon Islands, of all places)! In many ways, setting a deadline for the Kickstarter of 22 January 2016 was instrumental to driving the product to being as completed as it is now. The game has gone through over 100 hours of playtesting, and one of the factions is almost completely illustrated. The logo is in the process of being completed and the card backs are nearly done. The closer we got to that deadline though, the more unrealistic it began to appear. With the wealth of knowledge gained from the year, and the incredibly helpful advice of fellow Australian games designers, I can now see that it was an ambitious target to begin with. I do not want to release a game that is unfinished, and I am informed that an unsuccessful Kickstarter can have detrimental effects on the future success of the game! So, we have decided to push back the Kickstarter. What does that mean for the future of Tempest? The game is still coming out! It has recently gone through a major revision to its rules, due in large part to playtester feedback that a couple of the rules were frustrating or out of place. The game defies some conventions of deck-building games (for example, you do not discard your hand at the end of every turn) which need to be clarified or simplified. This has pushed playtesting back from the “finetuning” stage to the “balance the factions” stage again, but will hopefully result in a game that is much easier to learn and more streamlined to play. All of the core mechanics that let Tempest be Tempest will remain, of course. The game, at its core, will always be about deckbuilding, resource rationing, strategic deployment, and the telling of stories through card abilities. This website (and our social media sites) will continue to update as the game continues along its development. I will also continue commissioning the remaining 71 cards in preparation for the Kickstarter. So you can follow that progress here too. At present, we are hoping to launch the Kickstarter in May of 2016 or later. If you would like to join our mailing list, or get involved with the creation or playtesting of the game, feel free to shoot an email to shannon@foxtalegames.com and let me know!